This volume explores how and why people make judgments and decisions that have economic consequences, and what the implications are for human well-being. It provides an integrated review of the latest research from many different disciplines, including social, cognitive, and developmental psychology; neuroscience and neurobiology; and economics and business. The book has six areas of focus: historical foundations; cognitive consistency and inconsistency; heuristics and biases; neuroeconomics and neurobiology; developmental and individual differences; and improving decisions. Throughout, the contributors draw out implications from traditional behavioral research as well as evidence from neuroscience. 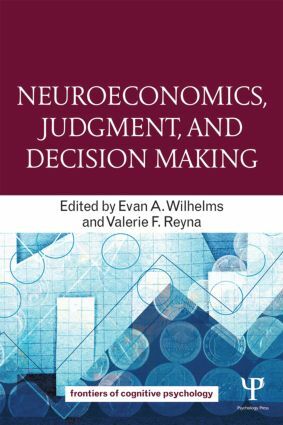 In recent years, neuroscientific methods have matured, beyond being simply correlational and descriptive, into theoretical prediction and explanation, and this has opened up many new areas of discovery about economic behavior that are reviewed in the book. In the final part, there are applications of the research to cognitive development, individual differences, and the improving of decisions. The book takes a broad perspective and is written in an accessible way so as to reach a wide audience of advanced students and researchers interested in behavioral economics and related areas. This includes neuroscientists, neuropsychologists, clinicians, psychologists (developmental, social, and cognitive), economists and other social scientists; legal scholars and criminologists; professionals in public health and medicine; educators; evidence-based practitioners; and policy-makers.